Rama Navami: Saturday, April 13th ~ The Toronto Hare Krishna Temple! 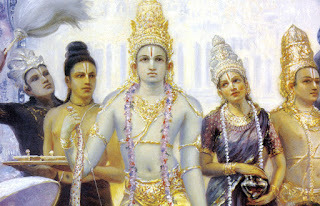 On Saturday, April 13th, we will be celebrating Rama Navami, the appearance of Lord Rama. 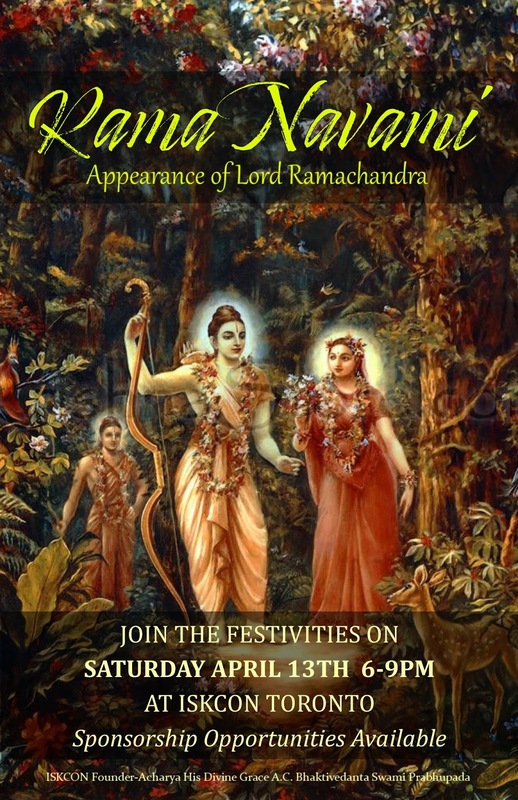 Lord Rama is an incarnation of Krishna who appeared in Ayodhya during the Treta Yuga as the son of King Dasaratha. 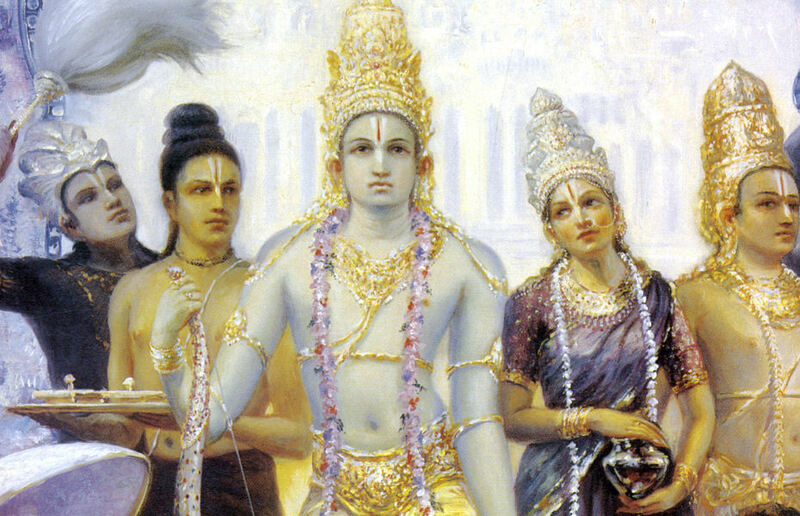 During Lord Rama’s reign, all the citizens were happy, religious and their necessities of life were provided. He was a virtuous, charitable and dutiful King. He is particularly known for his victorious battle with the ten-headed demon Ravana, the evil King of Lanka thereby freeing his wife Sita from the demon’s captivity. Through his life, he exemplified heroism, morality and good governance. For the festivities, we will be having a special discourse, and an arati ceremony for Lord Rama. Come join us next Saturday for a very special program starting at 6:00pm!